The Picton Pirates will set sail into the opener of their 2018-19 Provincial Junior Hockey League in Napanee Friday night with perhaps their deepest lineup in the Chris Masterson-era. 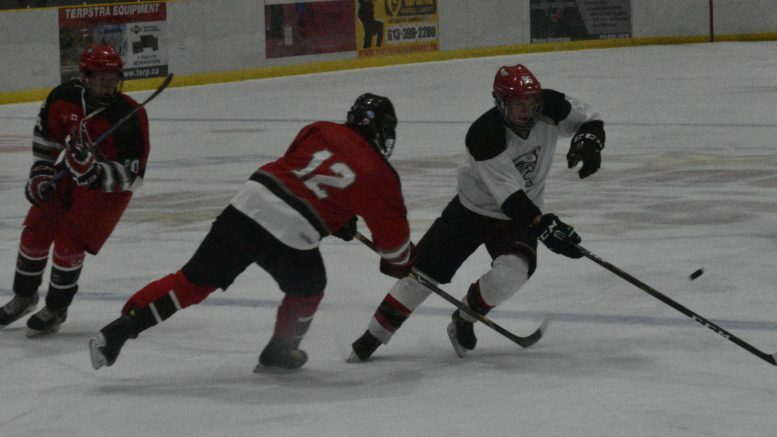 The club put the finishing touches on its exhibition schedule this past weekend with a split of a home-and-home with the Clarington Eagles, dropping the home portion 5-1 on Saturday in Wellington but rebounding the next day on the road to shade the hosts 3-2 in overtime. Picton’s General Manager had some difficult choices in advance of Friday’s face off at the Strathcona Paper Centre against the Raiders but he likes the make up of the squad that will break camp and skate into the PJHL regular season. Although it made a difficult task that much harder, Masterson told the Gazette he was excited about the range of talent available to the community-owned team that will be representing Prince Edward County in the PJHL this season. One of the choices Masterson made on Tuesday was to ink hulking forward Nate Boomhower. The Belleville native with OHL experience took part in a pair of Major Junior camps this fall before coming back to Picton. Last season, Boomhower scored a dozen goals while adding eight helpers in 16 PJHL games. “We’re so happy to have him back and he gives us the size up front that any team in this league is looking for,” Masterson said. The General Manager also commented on the recent signing of netminder Kyle McNair. The Corbyville native suited up for the Greater Kingston AAA Junior Frontenacs last season and also got into a game with the Kingston Voyageurs of the Ontario Junior Hockey League where he only surrendered one goal in 55 minutes of work, relieving the starter Trevor Withers after the latter gave up two goals on two shots to open a late February game against the Lindsay Muskies. McNair was at the Sault Ste. Marie Greyhounds camp earlier this preseason. “We have a lot of confidence in both (McNair) and (Brennan Bush) and we feel like either of them can command the net,” Masterson added. On Saturday at Lehigh Arena in Wellington, McNair started for Picton and probably wanted a couple of goals back as he struggled in his Pirates preseason debut. But on the bright side, Picton outshot the Eagles 35-23 and had some well formed and consistent puck movement in the Clarington end. Only the heroics of Eagles netminder Brandon Soucy kept Picton out of the contest. It almost became comical the way Soucy was in the zone, stopping pucks any which way he could. Picton’s Landon McLellan finally proved Soucy human when he made a nice move to skate off the half wall, get through a pair of Eagles defenders and put a nice backhander over the Clarington netminder at the midway point of the third period to get the score to 4-1 in favour of the visitors. 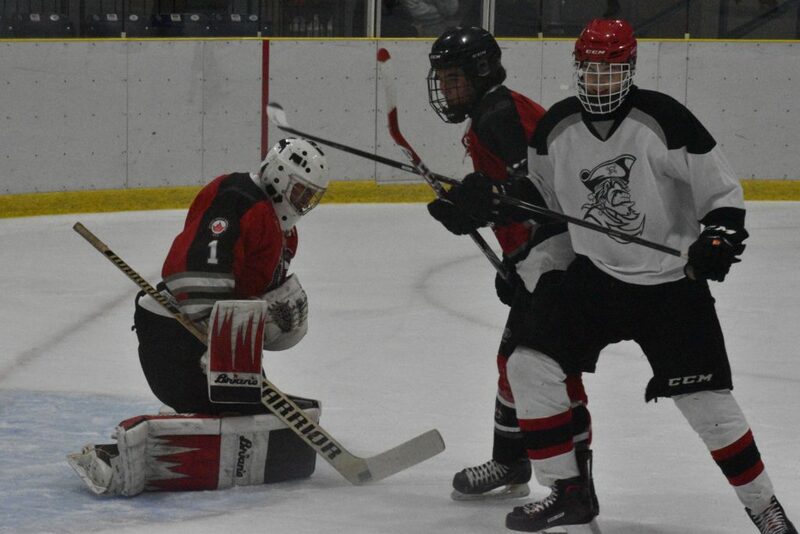 On Sunday, a more determined Picton squad took to the ice at the South Courtice arena. Picton would trail by scores of 1-0 and 2-1 but Matt Poole had equalizers in the second and third periods to make it a 2-2 score at the end of regulation. Early in overtime, Noah Brant picked up a loose puck and found a hole in Eagles netminder Curtis Laviolette, potting the winner just 18 seconds in. “To show that kind of character was a great way to cap off the exhibition schedule and roll into the regular season,” Masterson added. After opening on the road in Napanee Friday, Picton kicks off the home portion of its 2018-19 regular season schedule on Sept. 20 when they host the Campbellford Rebels. 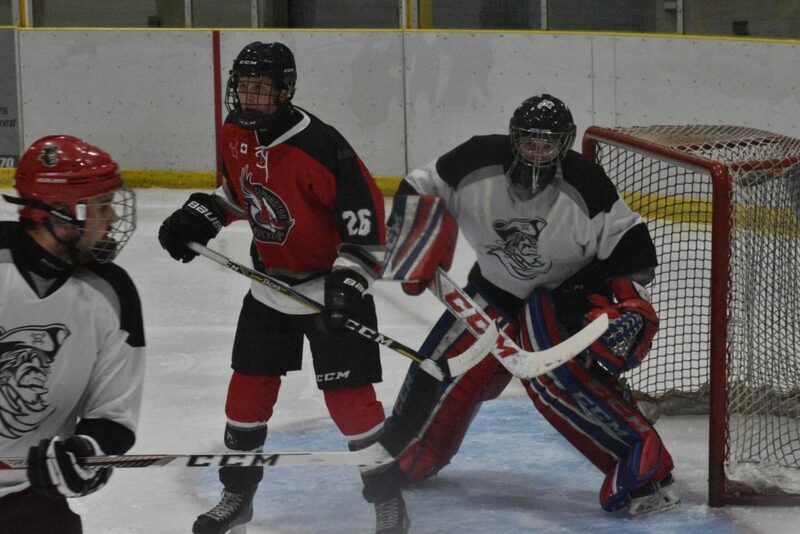 On Board with the Pirates: The club wished Pierce Nelson well on Monday as his post secondary studies take him to London and the University of Western Ontario’s Medical Sciences program. Nelson’s rights were acquired in a deal with Picton by the PJHL’s North Middlesex Stars.